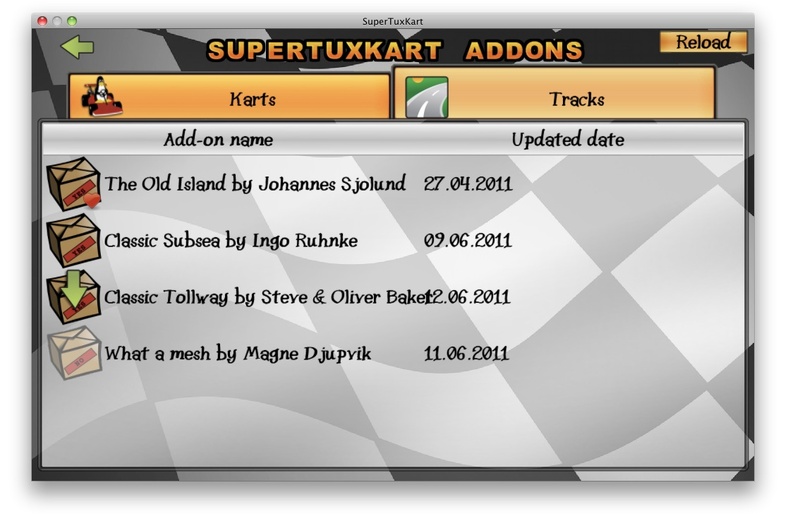 SuperTuxKart 0.7.2 RC1, the first release candidate towards version 0.7.2, has been released. Lelkoun, thanks for the nice words. Can you clarify where you clicked to get this error message? @Lelkoun: Where did that link come from? 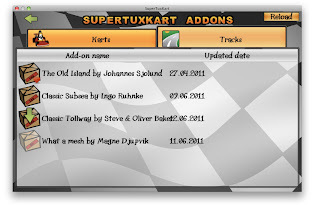 The addon browser would be addons.php?type=karts. On my Windows XP (service pack 3) computer, running this, I need to view the karts by moving my mouse off the button which selected that kart. Otherwise I get this white square over where the kart should be. It does not happen with keyboard selecting of karts, so it's mostly anoyance, but still... it's a bug. 2.99 GHz, 2.99 GB of RAM. It isn't a very good computer(Last version Shiny Suburbs was OUTRAGEOUSly jerky, for instance. Unplayably jerky), so that might be the cause of it. I forgot to mention that I had only tried this on a 16:9 resolution. Now I have also tried a 3:4 resolution and it still is whited out. It was working fine for me, until I adjusted the resolution. Now it says cannot "display this video mode" on my monitor, and when I try to change the resolution back it just crashes. =[ This is whack.